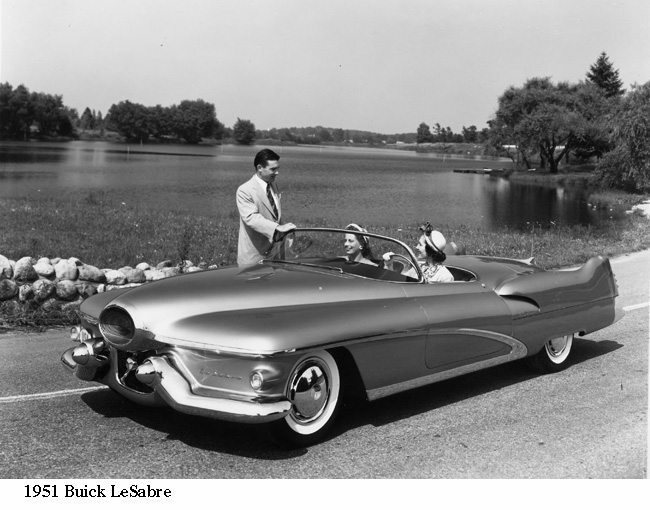 Harley Earl and Charlie Chayne had so many ideas they couldn’t put them all in one car. So Earl had charge of LeSabre and Chayne, by now head of GM Engineering, had XP-300 (though he was in charge of mechanics for both). Both cars were the result of a long-term cooperative venture between GM Styling and Buick Engineering. Both cars feature aluminum bodies, supercharged 335-hp V-8 engines using methanol/gasoline fuel, push-button seats and windows (including convertible rear windows) and power jacks operated from the driver’s seat. Four-wheel disc brakes are cooled by forced air. While XP-300 has the clean styling of an American sports car, the more dramatically sculptured LeSabre has a nose scoop suggestive of the intake of a jet plane. No wonder, its name was derived from an F86 Sabre jet fighter. Emblems on XP-300 carry the initials C.A.C. for Charles A. Chayne. 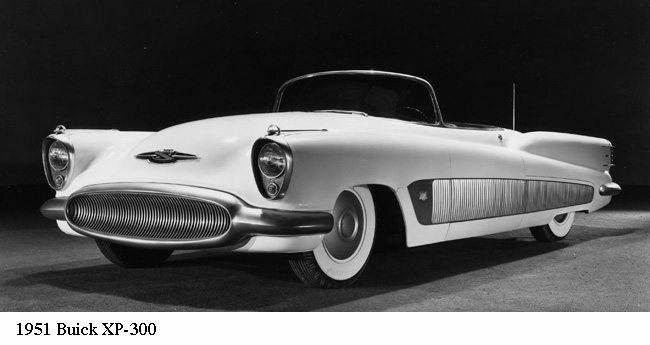 The white XP-300 is owned by Sloan Museum and the pale green LeSabre is owned by General Motors.